Tape is truly the strongest choice for companies looking to better manage and store secure data both in cold and active data environments. 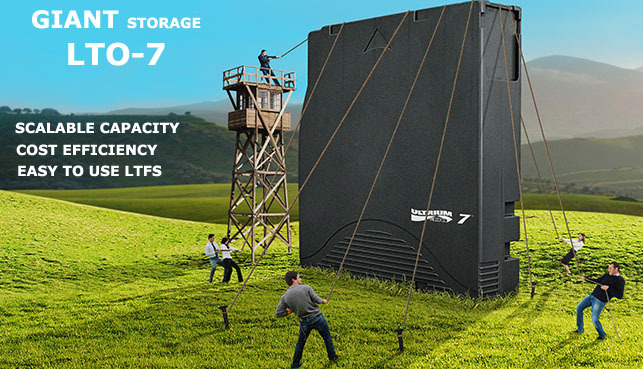 Now with LTO-7 technology, organizations will be able to enjoy more than doubled cartridge capacity from LTO-6, and large files will benefit from faster transfer rates. 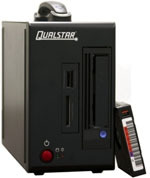 Quantum LTO-7 Tape Drive Internal SAS 6TB/15TB (Kit) Part# TC-L72AN-EY The internal LTO7 Tape drive from Quantum available at BackupWorks.com call for your LTO-7 internal or LTO-7 external SAS Tape Drive 6TB/15TB TC-L72AN-EY Incl. Data cart/cleaning cart. mLogic Desktop SAS LTO-7 Tape Drive w/SAS HBA Card (ATTO H680) Part# MLSAS-D7-HBA. Contact Backupworks for LTO-7 SAS external Tape Drive includes LTO Tape, Cleaning tape, SAS cable and SAS HBA Card (ATTO H680) Desktop LTO-7 SAS Drive Bundle available now.